Black people have lived in what we now call Canada since the 1600s. From that time until the early 1800s, hundreds were forced to come here as enslaved people. After slavery was abolished here in 1834, thousands of people of African descent from the United States, the Caribbean and Africa chose to come to Canada at different times for different reasons. For 400 years, Black men and women have contributed to all areas of society. They have fought for Black people to be treated with fairness and equality in the struggle against racial discrimination, a fight that has benefited all Canadians. 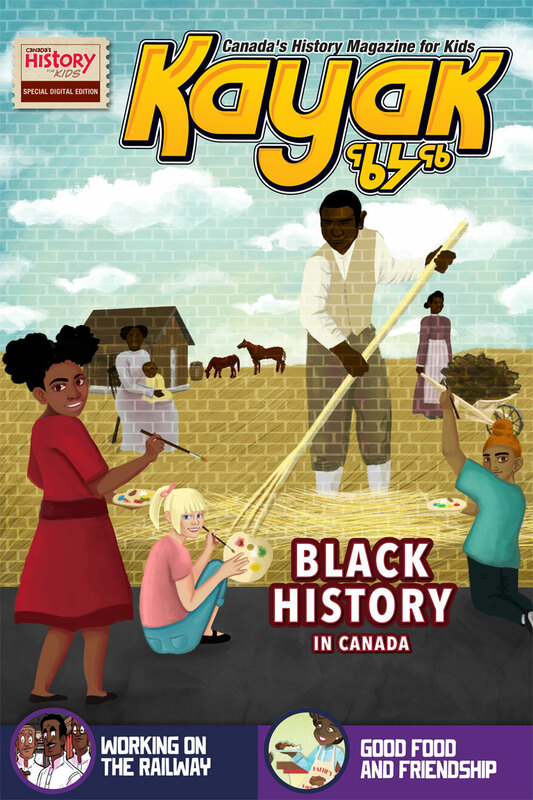 This edition of Kayak shares some amazing stories and examples of the ways Black Canadians helped to build and shape this country. The United Nations’ International Decade for People of African Descent (2015 to 2024) encourages us to “promote a greater knowledge of and respect for the diverse heritage, culture and contribution of people of African descent to the development of societies” and this issue of Kayak helps to do just that. This lesson focuses on exploring what is known about specific Black fur traders, learning more about their life and character, and applying this knowledge to illustrate why they were qualified for various jobs at the Hudson’s Bay Company or North West Company.